Vacation rental house. 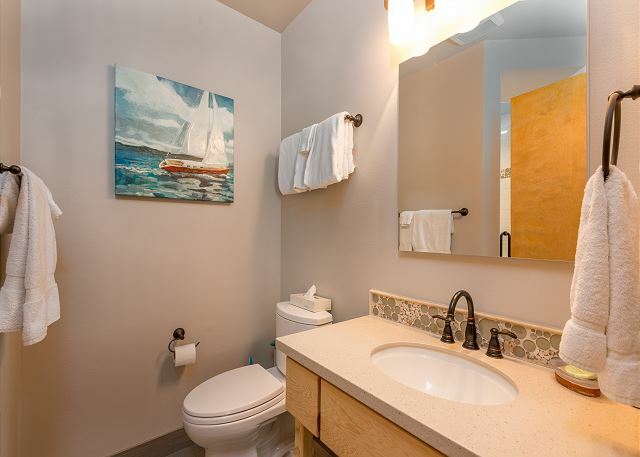 Sleeps 6, 2 bedrooms, 1.75 bathrooms. No pets allowed. 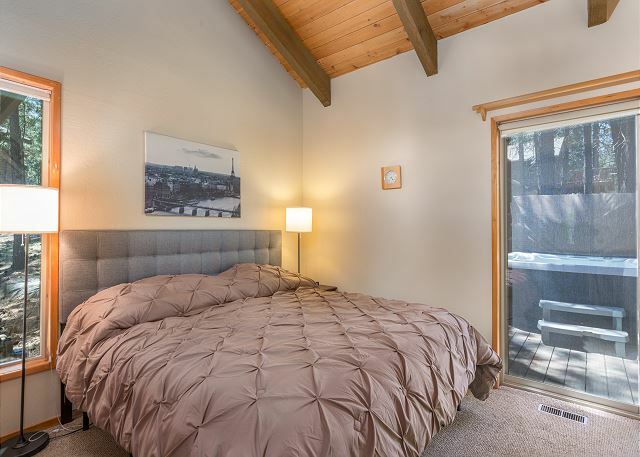 This beautifully updated 2 bedroom 2 bathroom home with a loft, is near the Village Mall. It's just a short stroll to the nearby shops, activities, and dining! 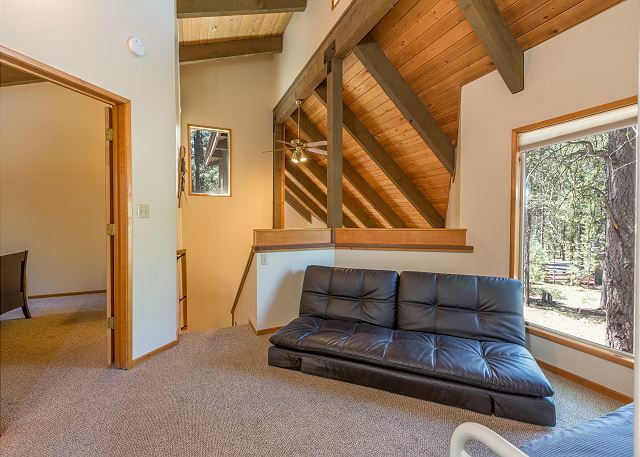 This great central location is perfect for up to 6 people! 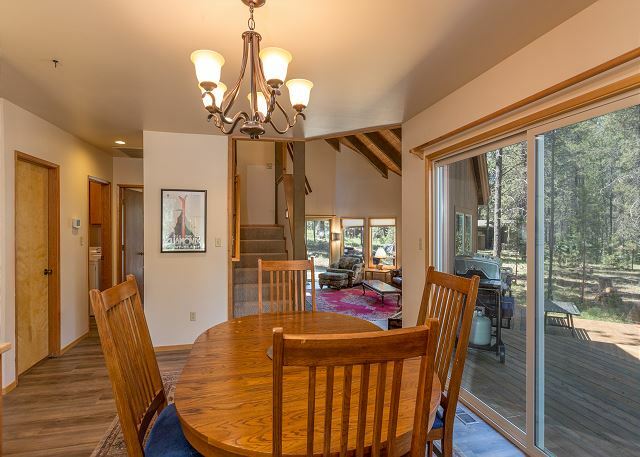 This light and bright home has an open floor plan with vaulted ceilings, stylish flooring and tasteful accents throughout. Raccoon 4 was recently remodeled. 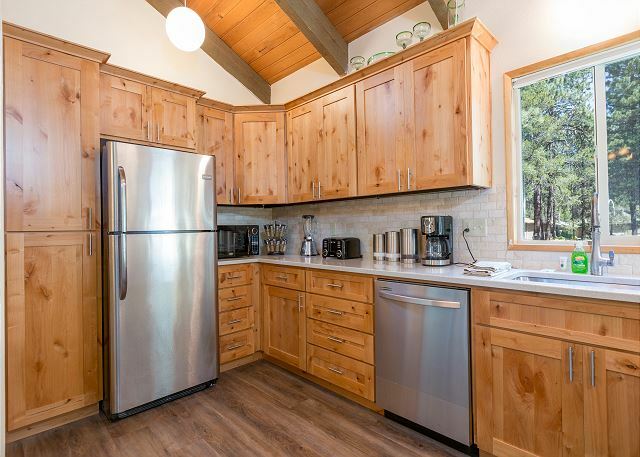 You will find new stainless steel appliances, updated cabinetry and counter tops and a subway style back splash in the kitchen. 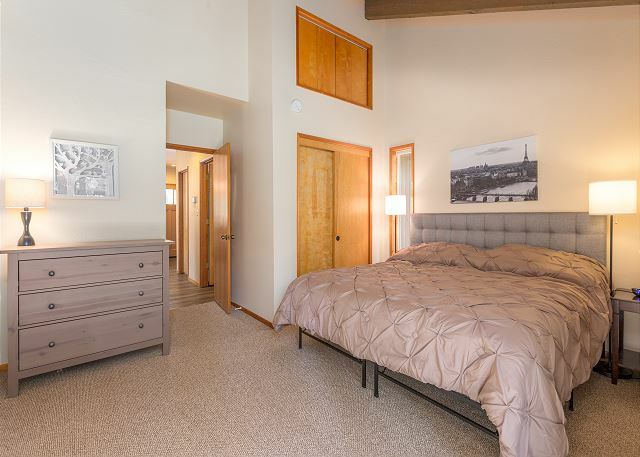 You will also find new carpet, new hard surface flooring, and an updated living room with an upscale furniture package. There are upgraded modern linens in the bedrooms. 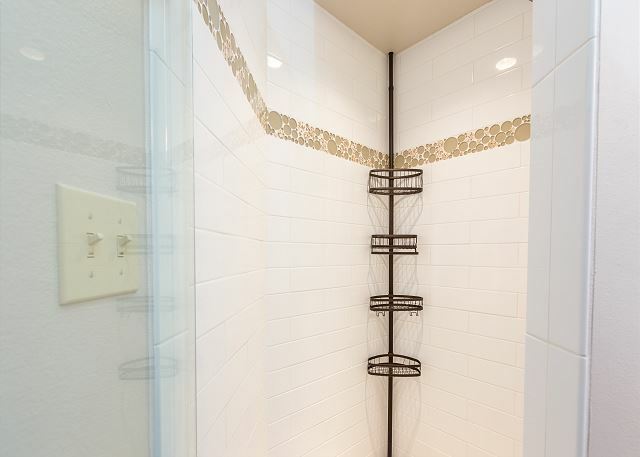 This home has updated bathrooms as well. 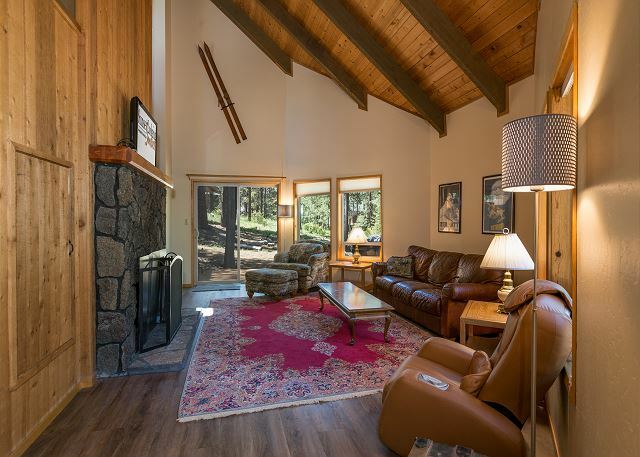 The well appointed living room, with a modern rustic fireplace is a great place to watch a movie or sneak in a quick nap after a fun filled day. 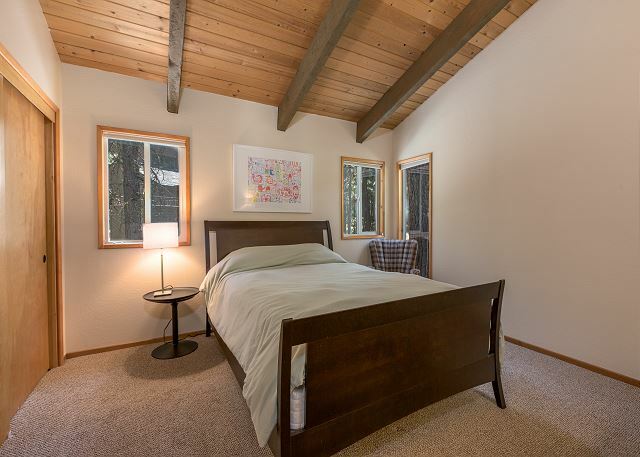 The plentiful windows let in lots of natural light, perfect for reading a book. 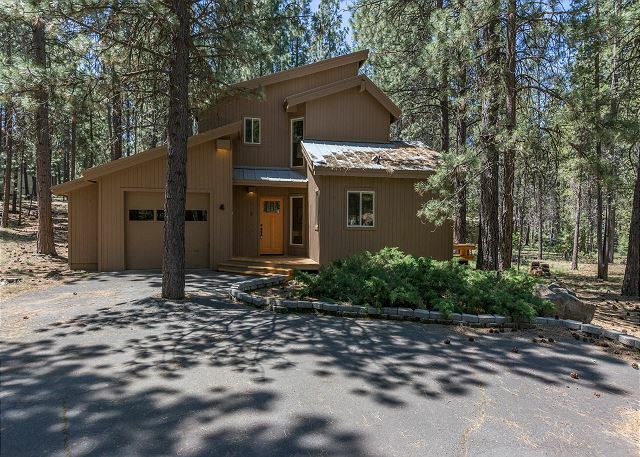 Vacation in comfort and style in this well equipped property with everything you need for the perfect home away from home, in Sunriver. Raccoon 4 is near the Village Mall and is sure to delight your group! Enjoy over 32 miles of paved bike paths that snake through Sunriver on the included bikes. There are 3 Adult bikes and 2 Children's bikes available for use during your vacation. 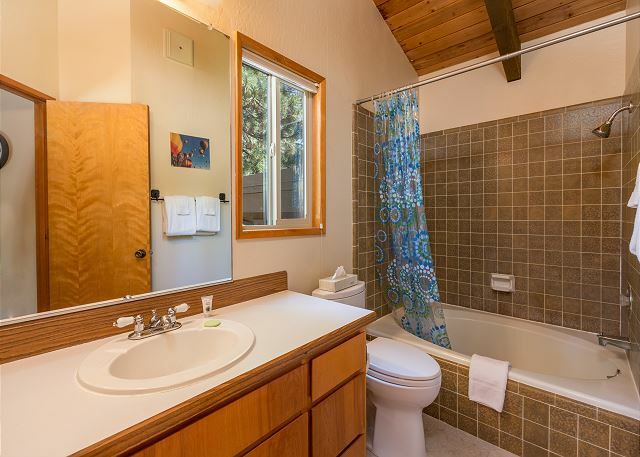 This home also has a Private Hot tub, perfect for soaking after a day on the slopes at nearby Mt. 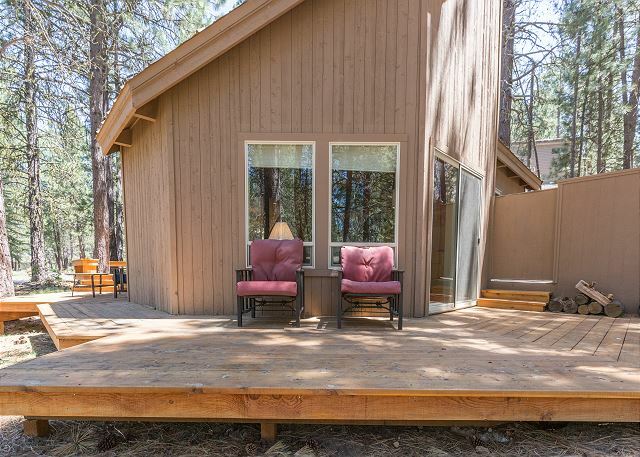 Bachelor, or stargazing after a long day enjoying all of the amenities Sunriver has to offer. 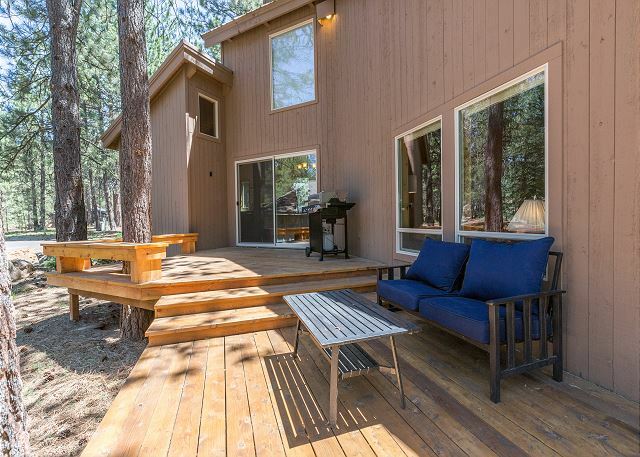 The large decking with barbecue, and large patio table with seating for 6, lends itself as the perfect spot to relax and unwind while grilling and watching the wildlife while lounging on the deck. 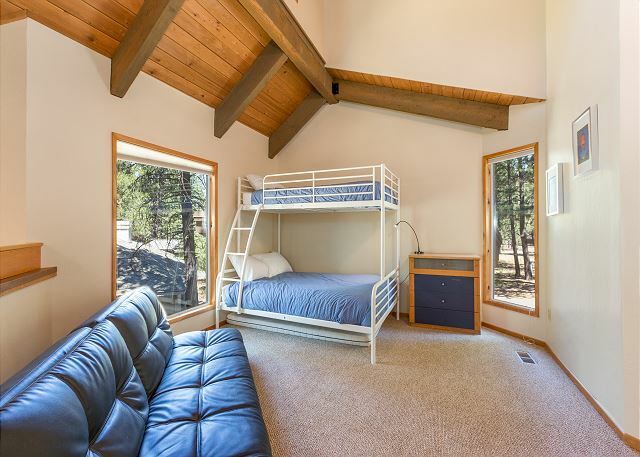 There is one King bed, one queen bed, and a twin/double bunk and futon in loft area. 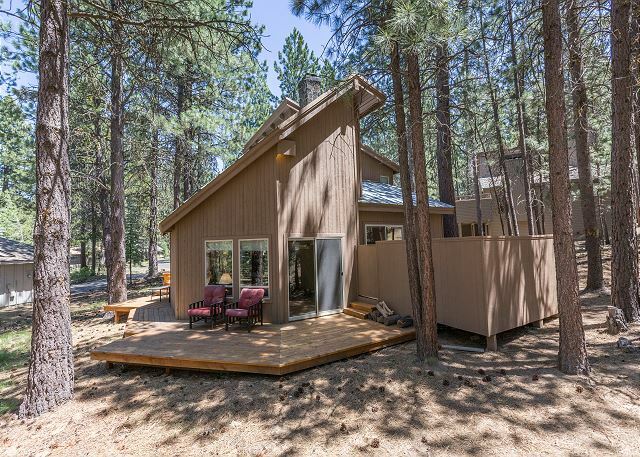 Make Raccoon 4 your new favorite in Sunriver! Thank You for the 5 star review, Suzanne! So glad you had a great time! Come back soon! It was really nice! Was bummed there was no Tin foil and couldn’t find barbecue utensils other than that it was great! Thank You for your review, Lindsey! Glad that you enjoyed this home's great location. Tin foil, saran wrap etc. is not a stocked item in the home, however there should be BBQ utensils there, in the future please call us and we will bring any lacking items to you or let you know where to find them! We hope to see you again! Thank You for your review, Manny! 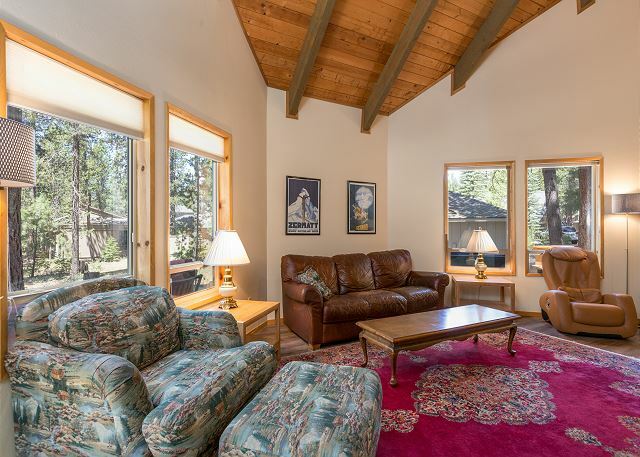 So glad that you found the property to be clean and in a great location and had a very nice stay...See you in Sunriver! Thank You for the 5 star Review, Christopher! We are delighted to hear that you loved the home and location and the wildlife! Come back soon! 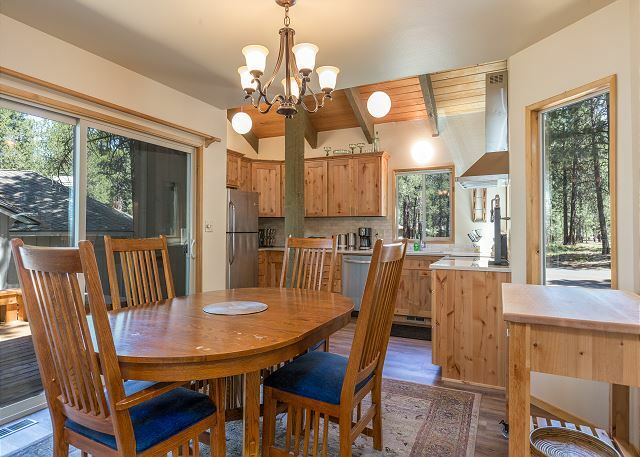 With two teenagers, we enjoyed using this home with its updated kitchen and baths. Hot tub outside master was awesome. House is very comfortable and great location. Kitchen pretty well stocked, though we missed having a coffee grinder (not a big deal). On the downside, beds are okay but not super comfortable, towels a little rough, outside cushions for furniture were very dirty (could be that we were first visitors of the season). Two adult bikes were okay, the seat on blue one may need some maintenance. Didn't use smaller bikes. Again, no big deal as you can easily rent by hour at Village. Thank You for the 5 star review, Kathy! 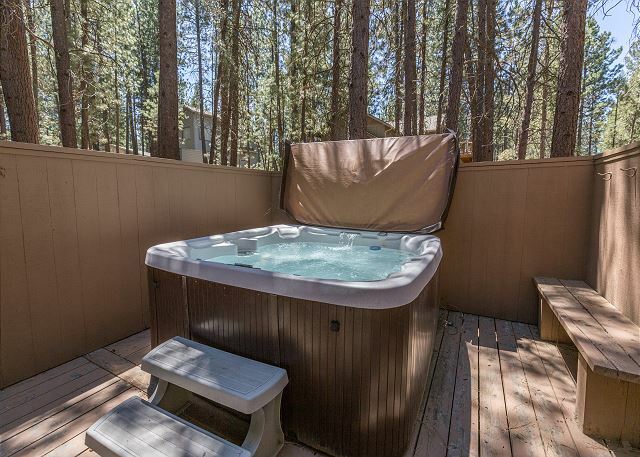 Glad to hear that you enjoyed the Hot Tub, and found the home to be comfortable and updated! We hope to see you again soon!